Banwell, Winscombe & Sandford Children's Centre and Banwell Youth Club provide services for young people in Banwell and children and their families from Banwell, Winscombe, Sandford and surrounding areas. Please see the downloads section of this page to view our latest What's On guide and to find out more about what's going on at the Centre. We welcome breastfeeding in all areas of our centre. If you would prefer a private space please ask a member of staff. Please be aware that although services will continue to be provided at Banwell, Winscombe and Sandford Children's Centre, it will no longer be staffed. If you have an enquiry please contact any of the other 3 Children's Centres in East (Castle Batch, Locking Castle & Locking or Worle) during their opening hours. Contact details and opening hours for these Centres can be found on our What's On guide or on their individual pages on this website. 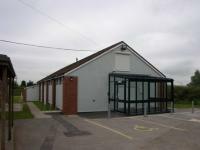 Banwell, Winscombe & Sandford Children's Centre is accessible to all with on-site parking, level access to the reception area and disabled toilet. Access to the Hall and Den can be gained through using a lift. Please ask any member of staff if help is required. Please check our What's on under the downloads section to check when activities take place at the centre. North Somerset Children Centre can offer help with early identification of children with special needs and disabilities and can signpost to inclusive services and support for their families. Access to Speech and Language Therapists, Health Visitors and Community Family Support Workers. Links with local Opportunity Group.